According to the American Civil Liberties Union, although the US is home to only 5 percent of the world's population, it boasts 25 percent of the world's prisoners. About one in 100 American adults are behind bars, the Economist reports. 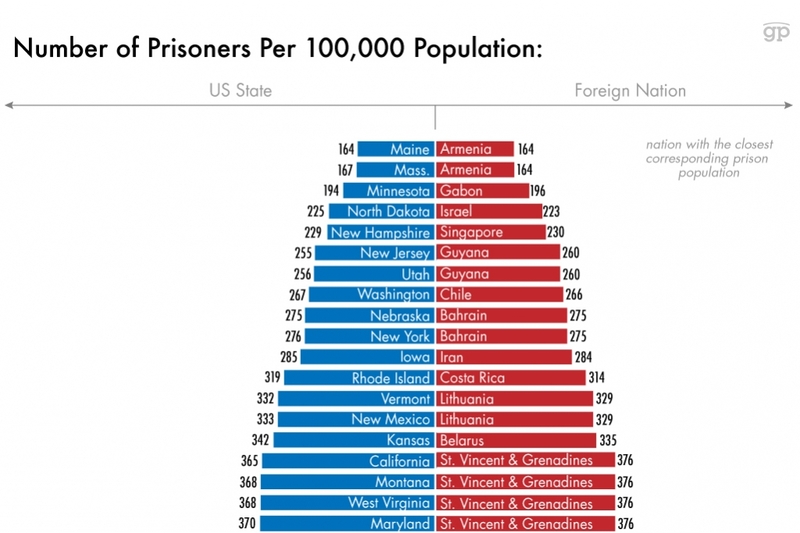 If those stats aren't enough to shock you, consider that the state of New Hampshire alone has about the same number of prisoners as the entire country of Israel. Of course, the overflow of prisoners in the US causes all sorts of problems. For starters, it's expensive to incarcerate people. Those pushing for prison reform have been steadily raising their voices. International prison population estimates come from the most recent edition of the International Centre for Prison Studies' World Prison Population List. 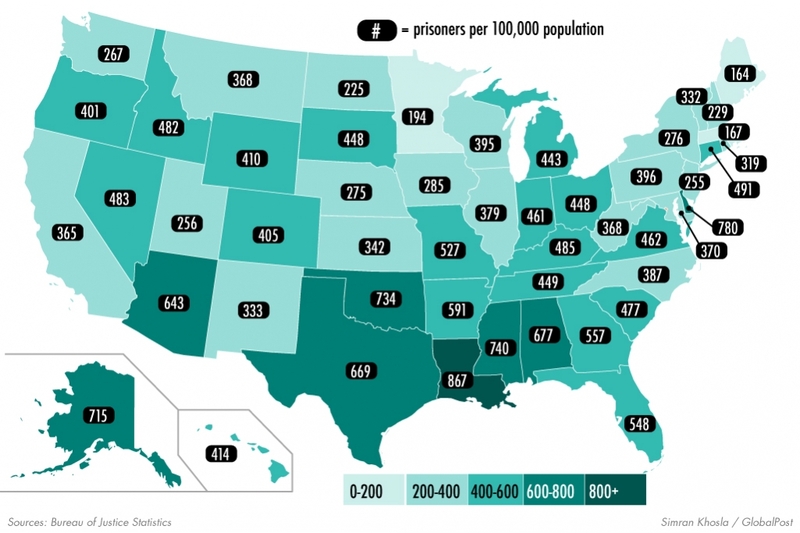 Each state is labelled with the country that has the closest corresponding number of prisoners per 100,000 people. 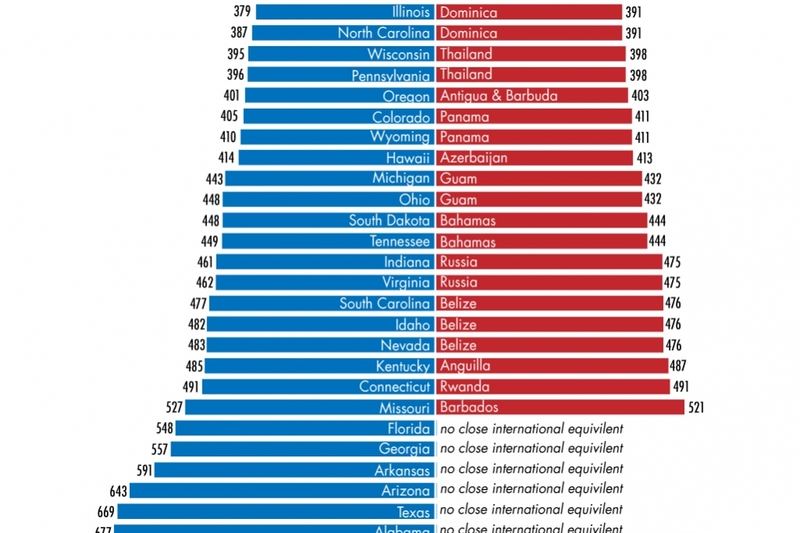 Not every state has a close match, states that don't have a nation with a similar prison population per 100,000 are labelled "no equivalent nation." 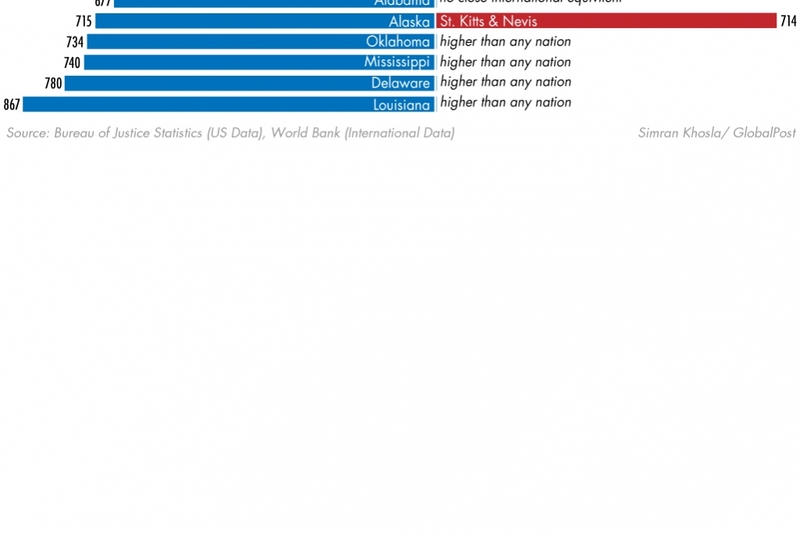 Some states have prison population rates that are larger than any other country in the world, these states are labelled as "higher than any other nation."